What Year Was My Kubota Tractor Made? If you want to find out the year in which your Kubota tractor was made, the best method is searching by serial number. Once you know how to find your Kubota serial number, you can use it to look up useful information about your tractor, such as its year of manufacture. To find out the age of your tractor, follow these tips. Near the front of the frame of your Kubota tractor, there should be a plate that shows the serial number. For many models of Kubota tractor in the B, L and M series, the serial number plate is located on the forward end of the transmission case, on either the left or the right side. Note that sometimes the number does not appear on a plate but is instead stamped into the transmission case. Once you have your serial number, it’s time to use an online Kubota serial number lookup table to find the month and year of production. Use this table to help you complete your Kubota serial number search. 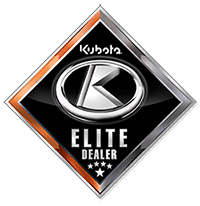 For Kubota engines manufactured before May 2012, the serial number appears after the base model name and is six digits in length. The first digit indicates the production year of the engine, while the second lets you know what month the Kubota tractor was made in. In contrast, engines manufactured from June 2012 onwards have a seven-digit serial number, and the first digit gives the series number of the engine. The next two digits give the production year and production month, while the last four digits of the serial number are always the sequence number of the tractor. If you cannot find a serial number plate on your transmission case but you still need an urgent answer to the question – what year is my Kubota? – don’t panic. Even if the plates on the transmission case are missing or unreadable due to wear and tear, there are other ways to find out what year your Kubota tractor was made. One option is to look up the engine serial number, which is always located on the right side of the engine, next to the fuel injection pump flange if your engine uses an in-line fuel pump. If your engine uses a rotary pump, the serial number will be stamped into the left side of the block. Another option, when faced with unreadable serial number plates, is to check the rear wheels of the Kubota tractor. There should be a date stamped into each wheel, which signifies the date of its manufacture. The age of the tractor is usually very similar to the age of the wheels. Are you still unsure of the answer to the question, “What year is my Kubota?” Get in touch with Bobby Ford Tractor and Equipment today. Our tractor specialists know almost everything there is to know about Kubota tractors, including how to find their serial numbers and how to conduct a Kubota serial number search. For professional assistance, please visit the Bobby Ford showroom in Angleton, TX, call us at 979-849-5400, or contact us online today!